The best way to enhance your knowledge and practice your language skills is to learn Mandarin in China. 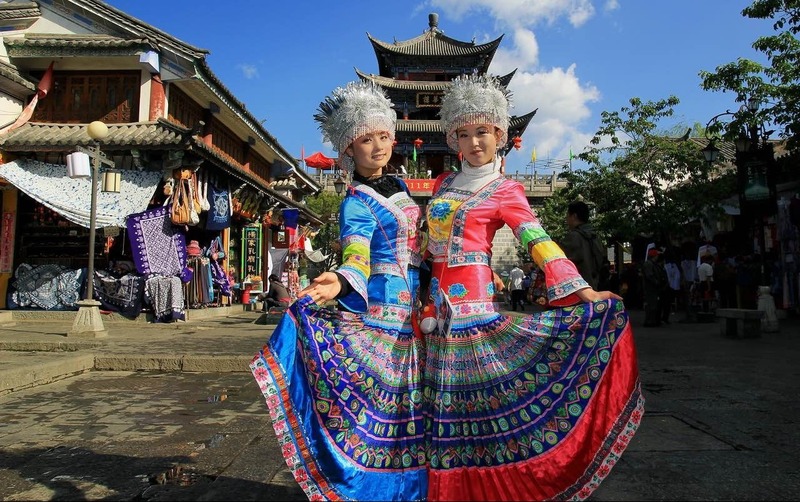 Experiencing Chinese culture first hand will give you the opportunity to be fully immersed in an authentic learning environment, located in the beautiful Yunnan province in the south-west of the country. CSL runs Mandarin courses in China in a culturally rich and naturally beautiful part of China. Yunnan province is home to Shangri-La, an enchanting mountain paradise with tourist attractions such as the Buddhist Little Potala Palace, the largest prayer wheel in the world, and Tibetan culture and art, all of which will enchant and capture your imagination. The school that we use to run our Chinese language courses in China is located in Dali, an ancient city that rivals Shangri-La for its beauty and is a listed Unesco World Heritage Site. Dali provides a stunning environment in which to learn Mandarin in China, with an additional bonus being that Dali is never cold! In fact, it boasts an average temperature of 20 degrees and has a lot of bright sunshine, fresh air and clear skies, which makes it both a comfortable and pleasing climate to live and learn in China. If you plan to travel and learn Mandarin in China, and you can’t find the appropriate courses to suit your schedule, CSL can provide a bespoke study trip that can be adapted to suit your requirements. It truly is a trip tailored perfectly for you. Our teaching approach is designed specifically for Western-based students. The key focal point being how to speak, communicate and interact in ‘everyday’ scenarios and optimising your studies through practising Mandarin in the real world. We understand how valuable and effective face to face time with your teacher is, so our Mandarin courses in China are one-to-one with you and your experienced teacher for an improved and more personal learning experience. Your one-to-one lessons are delivered by highly skilled, experienced and passionate teachers, whose emphasis is on fun for a very effective learning experience. Our teachers inspire students with their enthusiasm and promote the optimum ways to learn Mandarin in China according to the learner’s own interests and ability level. Our Learn in China curriculum is full of exercises, diverse excursions and visiting local areas of interest so that you can actively practice what you have learnt in your Mandarin lessons. The programme is designed and structured to be both educational and inspiring. Activities typically occur for one hour during the weekday afternoons. Each exercise, activity and excursion is designed to help and support students to speak more confidently and fluently by practicing their Mandarin language skills, and of course, to have fun for the duration of their stay. Your teacher will accompany you to make sure you get the maximum language learning benefits. Monday: Introduction to Chinese calligraphy. Tuesday: Introduction to tai chi. Wednesday: Introduction to Chinese Opera. Saturday: Tour around the ancient town of Dali. Monday: Introduction to the Chinese art of tea. Tuesday: Chinese style karaoke night. Wednesday: Introduction to Chinese chess. As well learning Chinese in China, your comfort is our priority during your stay. We are always on hand to offer support and care should you need it, to ensure that you have a fantastic time at our school, both in and out of the classroom environment. Our local team members are extremely approachable should you ever need guidance or assistance and you will be provided with the course leaders contact details should you need any on the spot details or advice. Start and end dates for our Chinese language courses in China: You are free to choose your course start date and length (minimum two weeks). Staying in a gorgeous house with a wonderful view in a fantastic location. One-to-One Mandarin classes (each week includes: 15 hours of lessons + 6 hours of cultural activities). Transfer to and from the airport in China. Practical assistance throughout your stay.